Make your own frames for all those great Christmas photos with this really easy tutorial from Living with Lindsay. 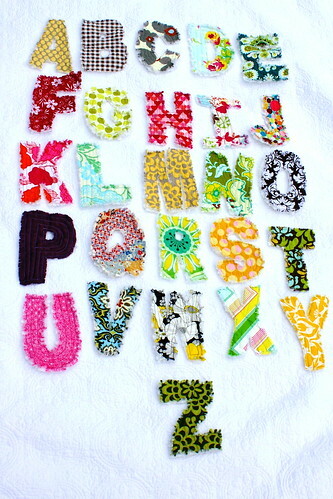 Rag-Quilt Fabric Letters by OhsoHappyTogether. Free pattern and tutorial. Great for little ones learning their letters.